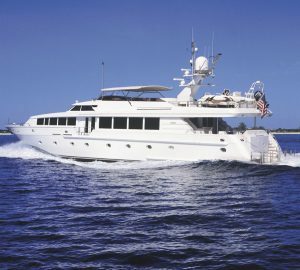 New England Yacht Charter is as varied as her people. Squeeze six states into an area smaller than Arizona and it's hardly surprising that you end up with a place of incredible diversity, varied identity and individualism. 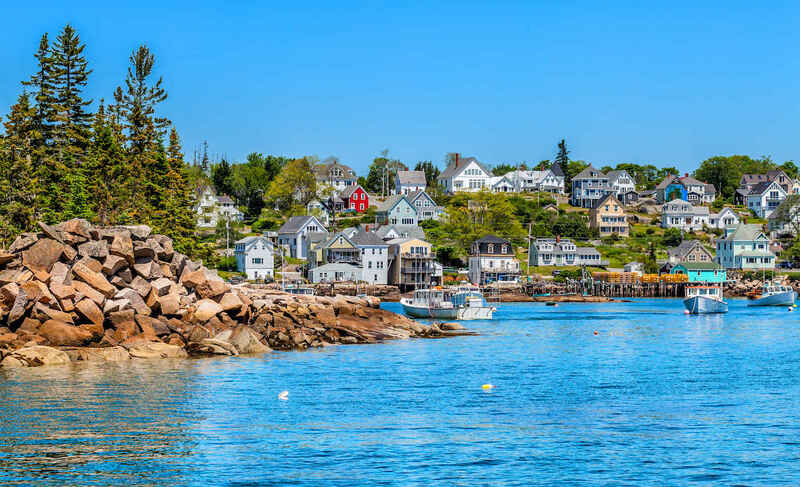 Between Rhode Island, Connecticut, Massachusetts, Vermont, New Hampshire and Maine there is plenty to enjoy on your New England charter boat vacation. The compact area of New England will allow you to experience the entire New England coastline in a one week charter, however, you may be so enraptured by the culturally rejuvenated city of Providence, or the serenity of Cape Cod, or even the jagged rocky coast of Maine, that you choose to spend your entire yacht charter boat vacation, in just one State of New England. New England is sailing yacht territory with sailing centers such Mystic and Newport which are home to numerous sailboat yacht charter companies. 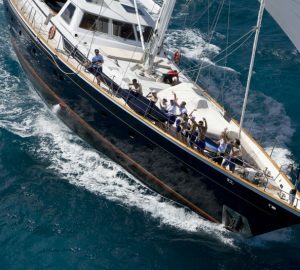 Begin your yacht charter vacation in Newport, RI, home to the famous challenging sailing yachts of the America's cup, and New England’s luxury sailboats and motor super yachts. Spend your day exploring the beaches and strolling through grassy meadows. Visit the mansions of the Vanderbilts and the Astors. 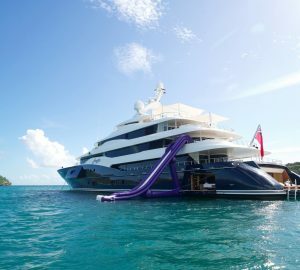 A great way to enjoy a New England luxury yacht charter is to plan it around one of the legendary festivals on during the summer. 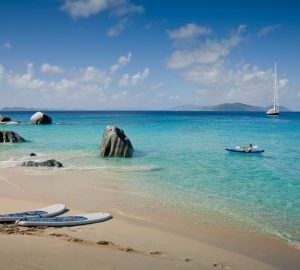 Enjoy the Newport Folk or Jazz festivals then escape on your luxury yacht charter, and leave the crowds behind. From Newport, sail to Block Island and enjoy the low-key atmosphere before heading on to the picturesque and charming town of Edgartown, at Martha's Vineyard. With its lighthouse entrance and sandy beaches, this is a great place to explore the shops and galleries in the delightful township. Continue on to anchor at Cuttyhunk while enjoying the stunning Vineyard Sound beaches. You could easily spend a day or two exploring the historic museums, galleries and shopping, of Nantucket. Take a stroll or enjoy a walking tour around this charming New England Island. As one of the most well known historic, and well established, yachting and yacht charter grounds in the United States the New England region offers all the main types of yacht charters and charter boats such as motor, sailing, bareboat charter, skippered, crewed yachts, catamaran, power boat, sailboat, luxury yachts and off-course the ever increasing super yacht charter. The primary charter boat season for the New England area generally runs from May right through to October, when the summer breeze is at its best in terms of reliability and strength. 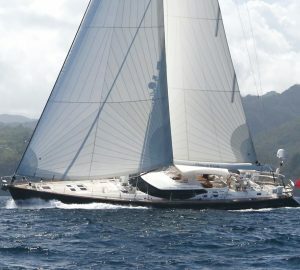 A yacht charter in New England has so much diversity to offer. A New England charter boat vacation will allow you to experience the incredible shoreline of Maine, the quaint and unspoiled paradise of Matinicus Island, the charming lighthouses and steeples of Penobscot Bay and the lively festivals of Newport. Below is a small selection of New England rental yachts - contact us for detailed information and additional charter yachts. Explore Location Guides for great destinations near New England .